There has been a slew of stories in recent media about police officers shooting animals under suspect circumstances. However, the most baffling instance occurred recently in Uganda, where officer Charles Onegiu of the Ndew Police Post shot and killed a large tortoise who "attacked" him in his home. Onegiu told the New Vision newspaper that he was relaxing at home with a cup of tea when the tortoise wandered into his hut. 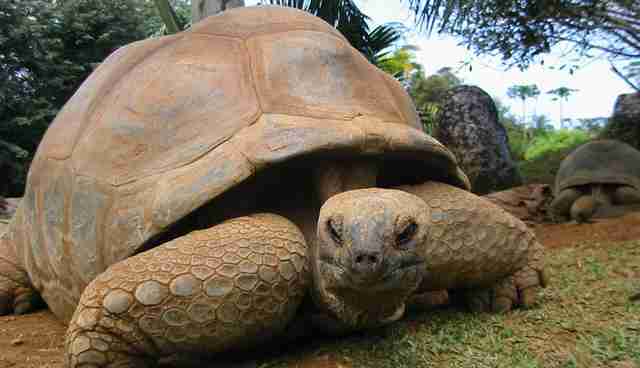 Onegiu says "I tried to scare it but the tortoise became very aggressive. I took a stick to chase it but it instead became more violent." Onegiu goes on to say that he then attempted to hit the tortoise with a plastic chair, and that the animal "got out of the hut and moved towards the latrine as people rushed to my rescue." 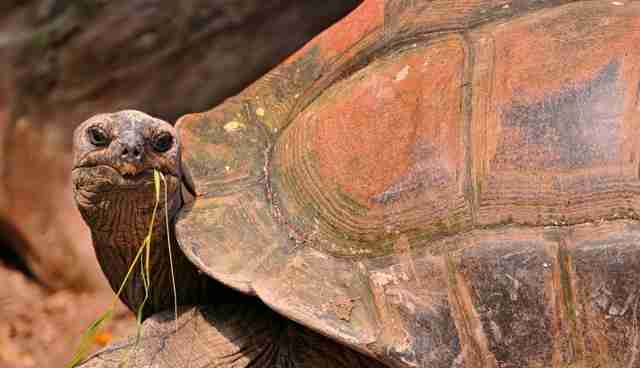 Onegiu then reached for his firearm instinctively as the tortoise was walking away from him and shot the reptile dead. "It was a very big white tortoise," said a shaken Onegiu. "As I talk now, I am still scared because it is the first time I have seen such an incident happen in my life or heard of one." This is an extremely accurate statement, as there has been no recorded instance of a tortoise violently attacking a full-grown man -- although Russian Tortoises have been known to attack each other. Onegiu's police commander Onesmus Mwesigwa apparently "burst into laughter" when contacted for comment on the incident. "Yes, I got that report because Onegiu called me and narrated how the tortoise came to his house and tried to grab his legs ... in the villages there is a lot of superstitions where people think 'somebody is after me.'" 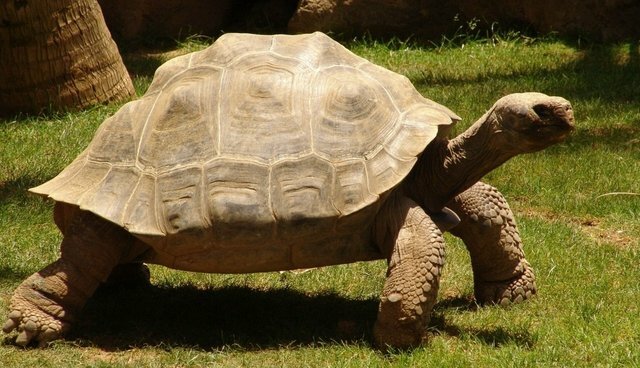 After Onegiu killed the reptile, a Christian group prayed for him before cremating the tortoise.